After the decision of Jammu and Kashmir governor Satya Pal Malik’s decision to dissolve the state assembly elections in Jammu and Kashmir, now Home Minister made clear that there is no role of Bhartiya Janata Party (BJP) in this matter. He added that the governor has taken the decision after reaching the conclusion that the new state can’t be formed in the current scenario of the state. 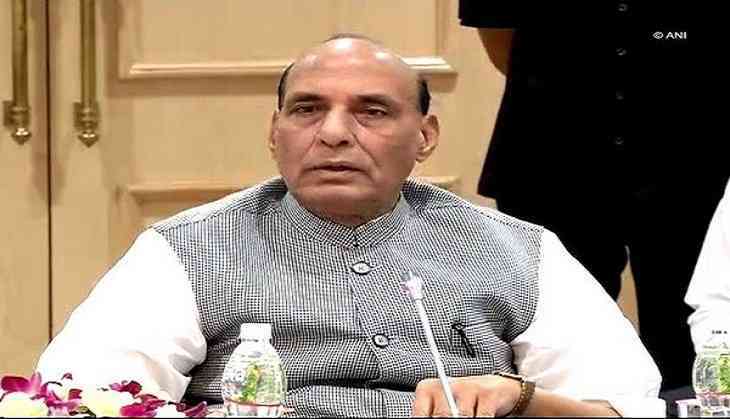 In an interview with Hindustan Times, Rajnath Singh said that the governor of the J&K has taken the decision after watching the current political situation in the state. He added that BJP has no role in the decision. ‘It is unfortunate that some people trying to drag the party in this matter,’ said HM. The state assembly was dissolved on Wednesday late night after the decision of Governor Malik. He has taken the decision after there were the claims that a new government will be formed by the Peoples Democratic Party (PDP) chief Mehbooba Mufti and People’s Conference leader Sajjad Lone. As Mufti has told that she has the support of the opposition National Conference (NC) and the Congress, claiming the backing of 56 MLAs. While Lone said that he had the support of the BJP’s 25 legislators and more than 18 other members in the 87-seat assembly.